Alright I see everyone has their own make and model clubs around. I have been seeing a lot of Cobalt SS running around town here lately. I have been talking to 3 other owners and I think it's time to get all of us together . If any of HCS members happens to see a Cobalt please tell them about this site and this thread. I will talk to the ones I know and get a good time and place set up for a meet and go from there. I know there was going to be a state wide club for Ecotec owners at one point but the state wide requires a lot of driving to meets that most of us don't want to drive 2 or 3 hours to hang out for 4 hours and drive back 2 or 3 more hours. More detail to come soon. Yeah Matt I know you'll read this and yes you can bring your little Nissan too lol j/k. P.S. this goes for HHR and Cavi owners as well. I know a lot of stock Cobalt LS and LT running around town and most of them don't care about stuff like this, they just want a car to get back and forth with good gas mileage. I just have seen some LS and LT that look nice and some end up putting a s/c or t/c on the 2.2 or 2.4 motors and make them scream. You guys should have a meet at The Speakerbox grand opening meet! I know of a couple Cobalt SS's that are already gonna be there. Last edited by Beckham; August 9th at 08:17 AM. That sounds like a plan to me!! Thanks Beck. I think Alex will be one of them. He is one of the guys I was talking with and said he knew you. Sept 3rd, 9am to 4pm. Sounds good to me. I know I won't be able to stay the whole time by the first part of the day I can . Yup. We've done a lot to Alex's car, so hopefully he can testify for us. I trust ya man. ill come out there one day and see what we can work out before the grand opening. Copy cats! Haha jp man. I hope it works out and y'all have a great meet! No copy cats here! We'd love to have EVERY car club in North Alabama have their monthly meet in one spot! lol. Hey I'm not going to lie. I figured since the Corvettes, Camaros, Miatas, Mustangs and Nissans have their own little club why not us . 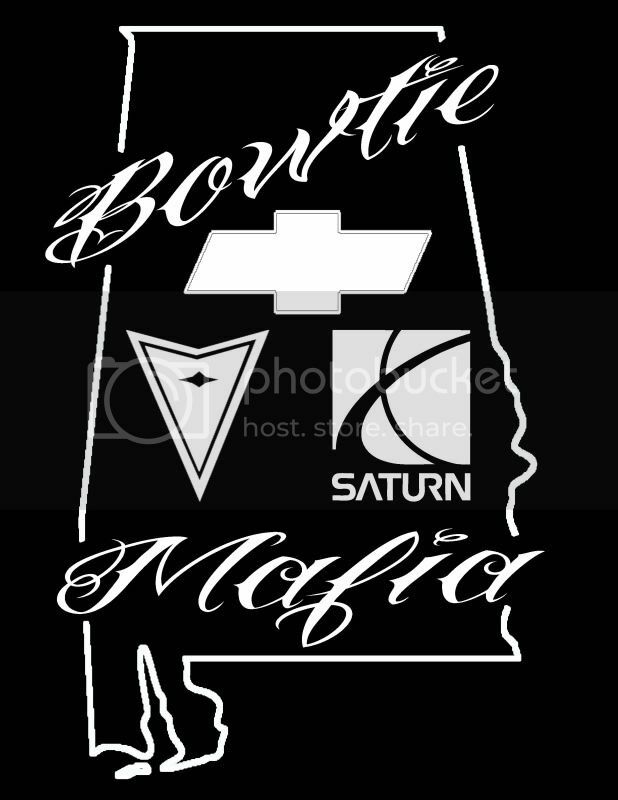 Around March of this year, a bunch of us on the Cobalt forums that lived in state was going to form a state wide club. I made up the graphics for it but I started having some issues with some of them talking trash about what I have done to my car so I just stopped getting on there. Sorry if I'm not trying to build my car for racing. Here is what I had made up with people throwing ideas at me. So I said forget it and just start a local one here . Yeah I did too. But Everyone else was going for the Ecotec Mafia one. Cheesy to me. I have like 5 other ones but I really don't care for them and I don't see anyone else here liking them either. One of them actually would violate the rules on this forum lol. I don't want something like that on my car honestly. I think I'll do one with the Tennessee Valley Region. But I am all about voting and making sure the more popular gets voted in. Plus I need to make sure everyone would be willing to do this before I put in any work on this. I don't think every monthly is feasible. But it's very feasible to have everyone together once a year. I meant everyone's Sept. month meet up. Assume this goes for Sunfire's too? Got an 03 that is my daily driver with nothing fancy under the hood. If it's Ecotec powered bring it . Yep its' got a 2.2L. A Sunfire is a Cavalier with a Pontiac logo and styling. I know lol. Just like a G5 is Pontiacs version of the Cobalt. One of my ex's had a Sunfire, it was pretty nice. I should get my wife to drive my grandma's Cavi to the meet lol. That one is nice.